To identify the whale shark’s seasonal distribution patterns in the Indian Ocean, to test if records follow a decreasing trend over time, and if occurrence is related to variation in climatic signals, we used multivariate distribution models of seasonal and inter-annual whale shark sightings opportunistically collected over 17 years by the tuna purse-seine fishery. We used bathymetric information (ocean depth), chlorophyll-a concentration (indicating productivity) and sea surface temperature data extracted from satellite images as inputs for generalised linear mixed effects models (GLMM) to examine the seasonality in whale shark habitat suitability. We then applied the resulting probabilities of whale shark seasonal occurrence as inputs in similar models to test for a abundance stability over time, and to determine variables best predict inter-annual variation in their numbers. We found that whale shark habitat suitability within the Indian Ocean varies with season and that their probability of occurrence decreased slightly through time over those 17 years. Our models identified sea surface temperature as a key component determining distribution, and revealed that global climatic signals reflecting shifts in sea surface temperature affect the number of whale sharks sighted over time. The relationship we found between whale shark occurrence and temperature are a forewarning that shifts in their current aggregation locations are to be expected as the globe warms. This meaning that even though direct human impact on whale shark populations has been eased through the bans imposed on fishing, there are still indirect human-mediated effects (climate change) that need to be understood when managing for the long-term conservation of this species. 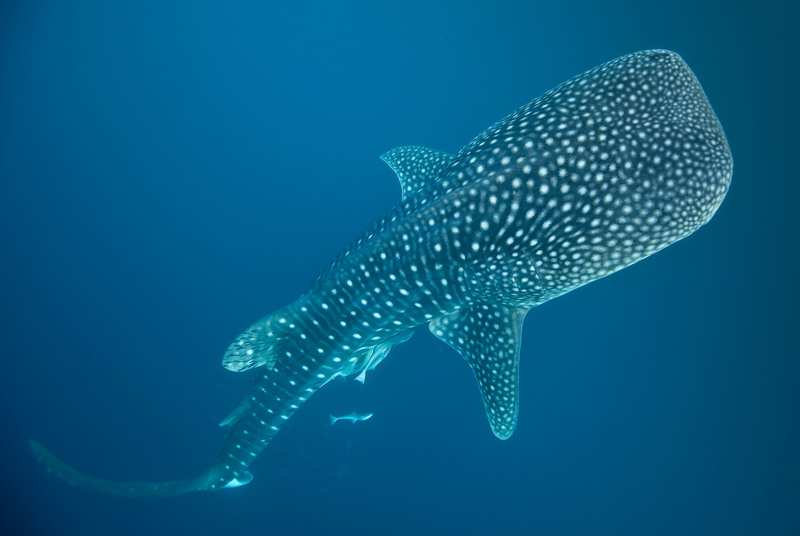 Our modelling approach can also be used to predict whale shark appearance timings at specific sites (e.g., at sites where they are still illegally fished) and estimate how much of the variation in occurrence can be explained by environmental conditions. Our work demonstrates how we can locate marine species without the complications involved in sampling the vastness of ocean environments and assess which predictors are most important in explaining relative abundance. Our approach can also be applied to any migratory marine species and used to help better manage remaining fish stocks (e.g., for wild tuna) often seen in association with whale sharks. Our lives depend on the ocean, and a healthy ocean depends on us. This sounds like a good tool to use.